휴가에 강아지 수영 중. 느린. Man Diving Underwater in Swimming Pool. Slow Motion. SLOW MOTION: Surfer on vacation enjoying sunny day surfing in clear ocean water. 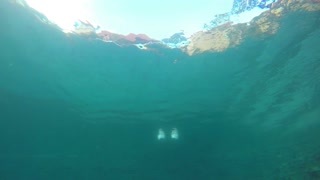 SLOW MOTION UNDERWATER: Fit surfer dude surfing ocean wave on vacation in Lobos. 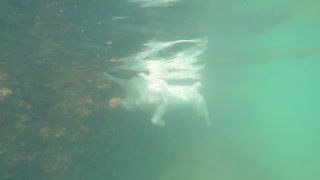 HALF UNDERWATER: Man on vacation swimming underwater in the glassy ocean water.